David Tillman says much colder weather and more rain is on its way. HOUSTON (KTRK) -- Just as parts of the Houston area dry out from record rainfall, very cold air is now setting its sights on southeast Texas, forecasters say. 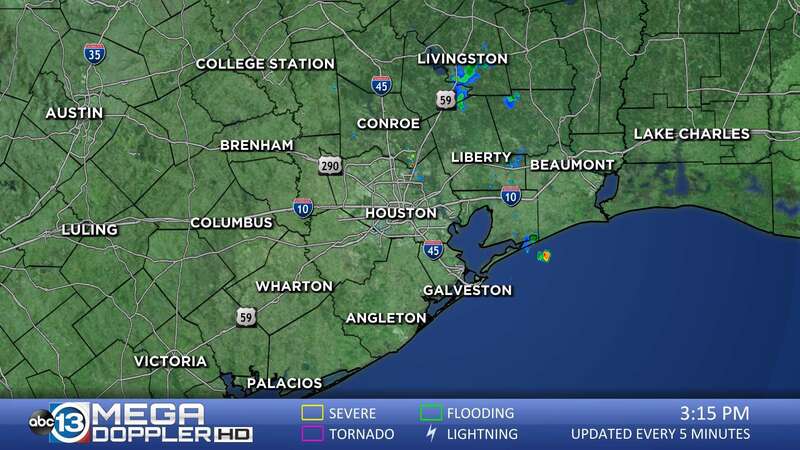 Travis Herzog says commuters this morning need to exercise caution as another round of storms pelts Houston with rain. Storms are expected this morning that could bring between 1 to 2 inches of rain. If you live near the coast around Galveston County, you may even see 3 to 5 inches of rain. All of this is leading to the chilliest of temperatures so far this winter. This is the time to prepare your heavy jackets. David Tillman did not mince words when describing what is ahead. "Thursday we'll struggle to make it to 50 degrees for a high temperature," Tillman said. "Friday, we'll have a low of 30 degrees in Houston. That means 20's for lows in some of our outlying areas to the northwest." Watch the roads carefully and make sure to give yourself extra time this morning.